You know how it is. You moved to a new location years ago. Since then your original files have disappeared and your longest-serving staff has moved on. Each year seems to bring a different contractor, digging up a different patch of ground, laying or replacing a different underground utility. And that’s fine – until you need to do some work yourself and realize you’ve lost track of the exact location of all the underground services. Performing work without knowing exactly what’s beneath your feet can prove to be a very costly – and dangerous – mistake. 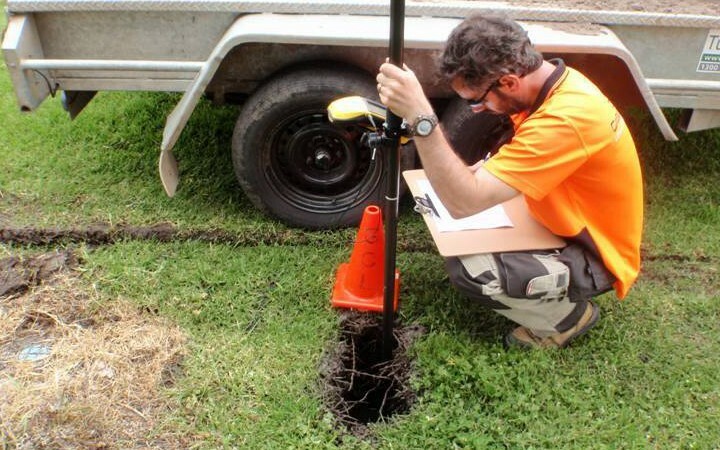 Geelong Cable Locations can help you, saving you time and money and minimizing the risk of unnecessary damage to underground services – or to your people. We can create plans of any – or all – the services located in and around a certain area, which you can keep as a permanent record. Another technique we use to help you record the exact location of underground utilities is GPS Plotting. This method uses coordinates taken from the Global Positioning System satellites to accurately record the location of underground services once and for all. Paint marks fade away; buildings may be demolished; roads can be expanded or re-routed. But GPS coordinates will always remain accurate. By combining GPS plotting with our drafting service, you get to retain a plan of the underground utilities within your property using uniform coordinates that are recognised nationally. Our expertise – we’ve been doing this for almost 20 years – is highly sought after and our reputation extends well beyond our immediate vicinity of Geelong and Melbourne: we can work anywhere within Victoria. If you need to locate some underground services, get in touch – we’ll be happy to help you!